Microsoft Power BI offers true self-service business analytics by enabling users to interact with corporate information and extract the intel they require. Covering the three main components of Power BI: Power BI Desktop, the Power BI Service, and Power BI Mobile Apps; this introductory course demonstrates how to produce compelling visualizations and reports to provide deep insights into data. Information and dashboards are accessed using familiar tools and devices enabling end users to create material without having to depend on database administrators or IT staff. The user dashboard shows key usage stats for the learner such as modules completed, time spent, scores. Certificate: A log of all modules completed. Professionals at all levels, from beginners looking to learn the ropes all the way through to experts looking to master advanced techniques. It's also suitable for those who want to develop interactive visualization techniques and self-service business intelligence capabilities to be able to create reports and dashboards. Know how to connect to a wide variety of data sources, using both Power BI Desktop, and the Power BI Service. Use the Query Editor to transform and morph data into the right format for your reporting purposes. Perform complex data modelling operations using relationships, calculated columns, measures, and DAX expressions. Share dashboards and reports, with colleagues, business partners and potential clients. Use Power BI’s sophisticated security features to control the exact content your audience is able to view. Grant Gamble is an experienced IT trainer, developer, consultant and author able to deliver a wide range of training courses. He has a vast experience of delivering public and on-site IT training content at different skill levels, to groups of varying sizes. His UK company G Com Solutions Limited provide IT training courses and consultancy to a wide range of UK and international clients. 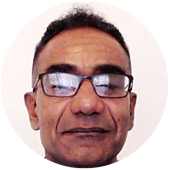 His speciality is running week-long, intensive training workshops on topics like Microsoft Power BI, VBA, web development and Adobe Creative Suite automation.